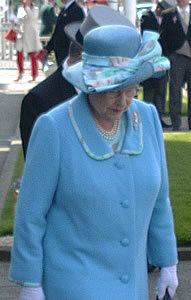 The Oaks race is for three-year old fillies (female horses). 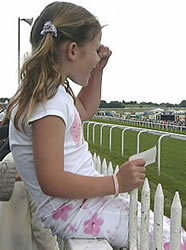 The Derby is a race for three-year old horses (both male and female). 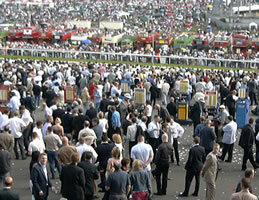 Both the Derby and the Oaks are run over a distance of 1 mile 4 furlongs and 5 yards. 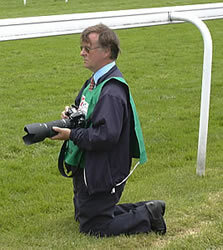 They are two of the 'Classics' (the most important flat horse races in Britain): the 1000 Guineas and 2000 Guineas (at Newmarket, in May), the Oaks and the Derby (at Epsom, in late May or early June), and the St Leger (at Doncaster in September). 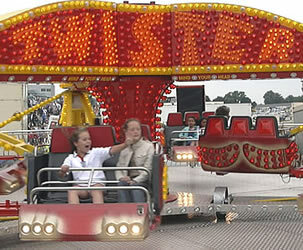 The Derby was first run in 1780. It is named after the 12th Earl of Derby, one of the two founders (the other was Sir Charles Bunbury). 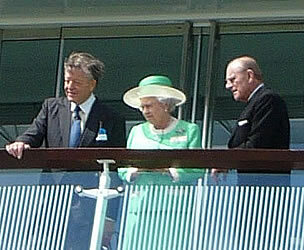 In 2011 the Oaks is on Friday 3 June and the Derby is on Saturday 4 June. For details, see: Ideas/Events/June. 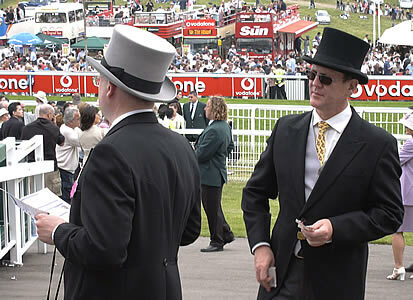 This page shows photos taken at the Oaks Day and Derby Day events between 2003 and 2006, at the Epsom Downs racecourse in Surrey. 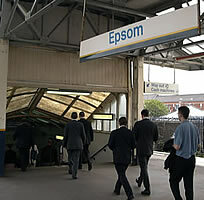 To go to the races by public transport, take a train to Epsom. If you are starting in London, trains leave either from Waterloo or from Victoria; the journey lasts about 30 minutes. 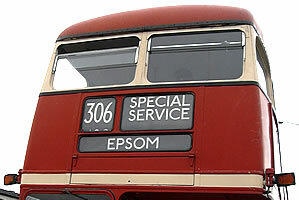 When you arrive, go to the front of the station to take a special bus service (there may be long queues). 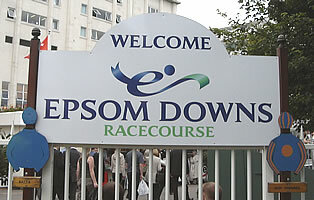 It takes about 10 minutes for the bus to reach the Epsom Downs racecourse (map). 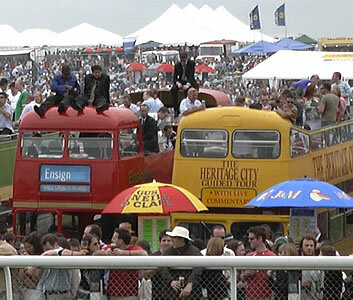 If you have tickets for the Grandstand or the Queen's Stand you can go to the parade ring in the Paddock to watch the horses before the races. ... or use your hands! There is free entry to The Hill. 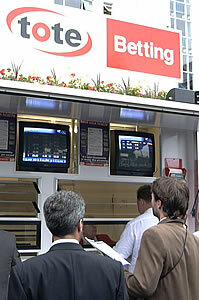 Here you can place bets at the bookies' stands, watch the races on large screens, have a picnic on the grass, eat at one of the food stalls, or visit a funfair. 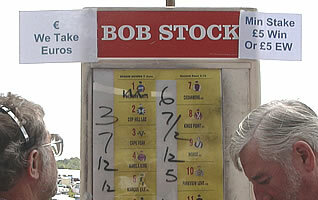 In 2008 the Oaks was won by Look Here (trained by Ralph Beckett, ridden by the jockey Seb Sanders; 33-1). 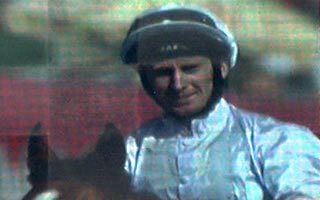 This was the first Oaks victory for this trainer and jockey. 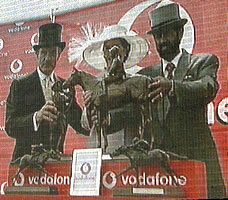 In 2007 the Oaks was won by Light Shift (trained by Henry Cecil, ridden by the jockey Ted Durcan; 13-2). 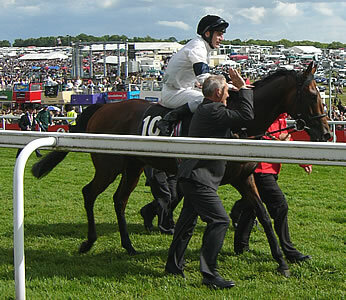 This was trainer Henry Cecil's eighth Oaks victory. 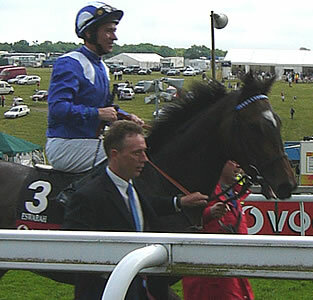 In 2007 the Derby was won by Authorized (trained by Peter Chapple-Hyam, ridden by the jockey Frankie Dettori; 5-4 favourite). 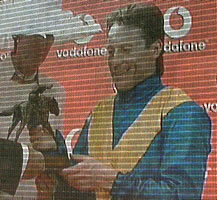 This was the first time Frankie Dettori has won the Derby (he has previously won each of the other Classics). 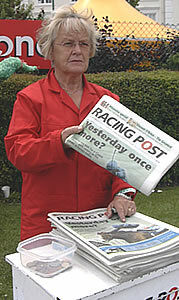 In 2008 the Derby was won by New Approach (trained by Jim Bolger, ridden by the jockey Kevin Manning; 5-1). 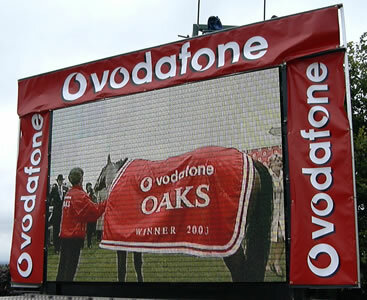 In 2006 the Oaks was won by Alexandrova (trained by Aidan O'Brien, ridden by the jockey Kieren Fallon; 9-4 favourite). 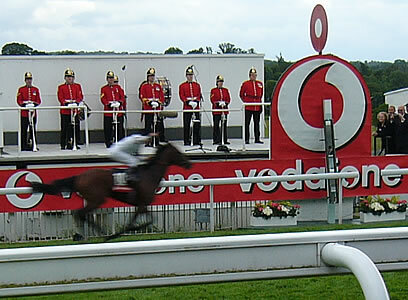 This was Kieren Fallon's fourth Oaks victory. 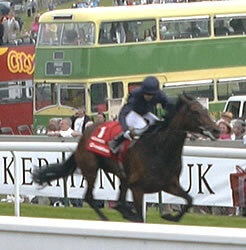 In 2006 the Derby was won by Sir Percy (trained by Marcus Tregoning, ridden by the jockey Martin Dwyer; starting price 6-1). 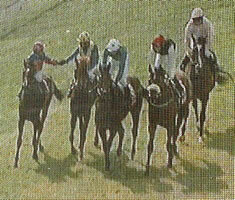 There was a very close finish: Sir Percy won by a nose. 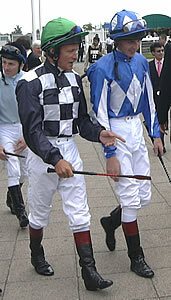 Martin Dwyer also rode the winning horse at the Oaks in 2003 (see below). 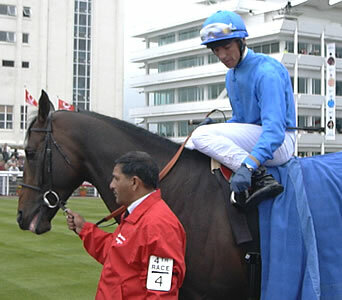 In 2005 the Oaks was won by Eswarah (trained by Michael Jarvis, ridden by the jockey Richard Hills; 11-4 joint-favourite). 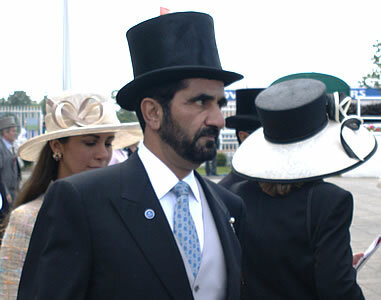 In 2005 the Derby was won by 5 lengths by the favourite Motivator (trained by Michael Bell, ridden by Johnny Murtagh; owned by a syndicate of 230 people). 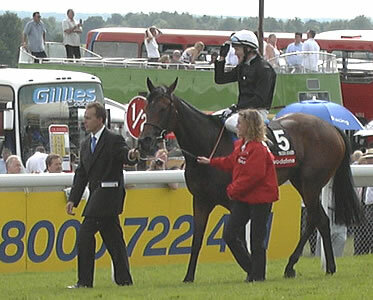 In 2004 the Oaks was won by Ouija Board (trained by E. Dunlop, ridden by the jockey Kieren Fallon, and owned by Lord Derby - a descendent of the 12th Earl of Derby). 7 horses competed for a total prize fund of £350,000. 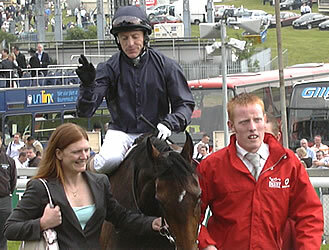 In 2004 the Derby was won by North Light, ridden by Kieren Fallon. 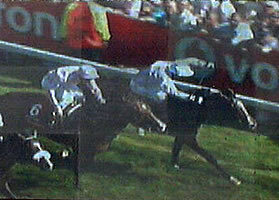 Kieren became the first jockey since 1980 to win the Derby in two successive years (Willie Carson was the last person to achieve this). 14 horses competed for a total prize fund of nearly £1,400,000. 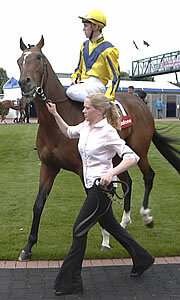 In 2003 the Oaks was won by Casual Look (trained by Andrew Balding, ridden by the jockey Martin Dwyer, and owned by Mr W S Farish III; the odds at the start of the race were 10/1). 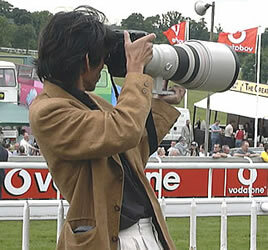 15 horses competed for a total prize fund of £415,000. 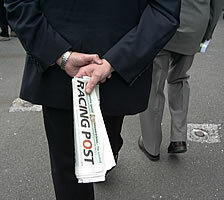 In 2003 the Derby was won by a horse called Kris Kin (trained by Sir Michael Stoute, ridden by the jockey Keiren Fallon, and owned by Saeed Suhail; the odds at the start of the race were 6/1). 20 horses competed for a total prize fund of £1,470,000. 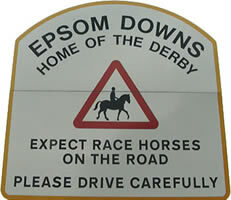 Epsom Downs official website: http://www.epsomderby.co.uk.